Altitude About：1.3cm. Our goal is to make sure that you can find exactly what you are looking for and make it easy for you to place your orders. Hope you could understand. we support wholesales. A great tool for sewing quilting. Also note that monitor settings may vary from computer to computer and may distort actual colors. If you have any problems, we are very glad to help you. This ruler function: making sample, grading, draw a straight line, draw curves, etc. 1 x Curve Ruler. 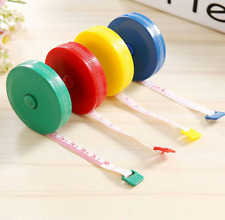 Suitable for any sewing or handmade craft. A helpful tool for designer, sewing tailor. High Transparent material, durable to use. The smooth curve will help you make a perfect rounded curve. 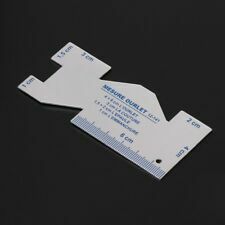 2 Pieces Sleeve Curve Ruler. - Widely used, suitable for drawing, cutting, plate, tailor dressmaking and other clothing design. - Size(L W): Approx. Material: Plastic. We always put your satisfation on the first place, trying to do best to serve you. We believe problems can be solved through good communication. Features: 100% brand new and high quality Ultrathin design, easy storage Made from durable metal and designed for quilting, sewing, and crafts A great tool for sewing quilting Material:Metal Size(L*W): approx. 9.8x4cm/3.86x1.57'' Package list: 1 x Ruler(Double Side) Brand Unbranded MPN Does Not Apply EAN 0739210527068 Material Metal Size(L*W) approx.9.8x4cm/3.86x1.57". 1x Ruler Tape. Also note that monitor settings may vary from computer to computer and may distort actual colors. Compact and easy to carry. Due to the light and screen difference, the item's color may be slightly different from the pictures. 1 x French Curve Ruler. Ruler specification : 40cm. Color : Transparent, Red. Material : Plastic. Size : 30 x 12.5 x 0.1cm/11.8" x 5" x 0.04"(L W T). Features: 100% brand new. Metal sewing gauge ruler, resist corrosion,rust and stain.using it for a long time. Small and flexible, easy to use, suitable for working in tight spaces Keep your work accurate with this versatile gauge,Sewing Knitting Gauge essential tool An ideal gift or a great addition to your own collection Multi-purpose:suitable for embroidery,needlework,crewel,sewing,crafting and other. Ideal gift for friends who like sewing or DIY. More and more people (especially housewives and white-collar workers) enjoy this diy fun. Used to DIY patchwork very convenient. 1PC x plastic ruler. Main Color: Transparent. Also note that monitor settings may vary from computer to computer and may distort actual colors. Ruler specification : 40 cm. Material: Plastic (elastic as shown on pictures). We always put your satisfation on the first place, trying to do best to serve you. We believe problems can be solved through good communication. ( ein Gegenstand aus eigenem Besitz). Geeignet für Kleidungsdesign, Styling-Design, französisches Kurvenmuster, Kleidungskurvenfüße, Multifunktion. - Das Multi-Style-Lineal-Set eignet sich für Schüler, Designer, Schnittmacher und Schneider. Sewing & Knitting Gauge. Ideal for sewing and knitting projects. By: Hemline. 颜色: 透明色( 如图所示 ). 2,数据为手工测量,可能存在些许偏差,但不影响使用. 1 Piece Rectangle Sewing Ruler. - Suitable for Clothes Tailoring, Styling Design, clothing curve pattern design, Multifunction. 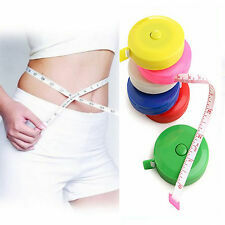 - Made of high quality plastic, soft and flexible. The product is new, never used and in good conditon, just go ahead and buy! Rulers only, other accessories demo in the picture is not included. 4 x Rulers. Widely used, suitable for drawing, cutting, plate and other clothing design. Also note that monitor settings may vary from computer to computer and may distort actual colors. Stainless steel ruler. 1 x Combination Square Ruler. The square also includes a scribe and spirit level to assure accurate balance and evenness on your project. Each scale line is engraved by Laser, so it is laser engraving scale. Multi-style ruler Set is suitable for students, designers, pattern maker and Tailor. - Fit for clothes design tailoring, styling design, french curve pattern, clothing curve feet, Multifunction. 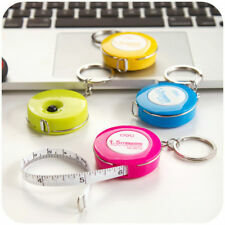 Fashion Ruler Set(6pcs). Features: 100% brand new. Material : Plastic Color : Transparent, Red Size : 30 x 11cm/11.8"x4.33"(L*W) Ruler specification : 42cm Package list : 1 x Curve Ruler Brand Unbranded MPN Does Not Apply UPC 607376808638 Material Plastic Color Transparent, Red Size 30 x 11cm/11.8"x4.33"(L*W) Ruler specification 42cm UPC 607376808638.